The mask as a ceremonial object is a super highway of transformation. 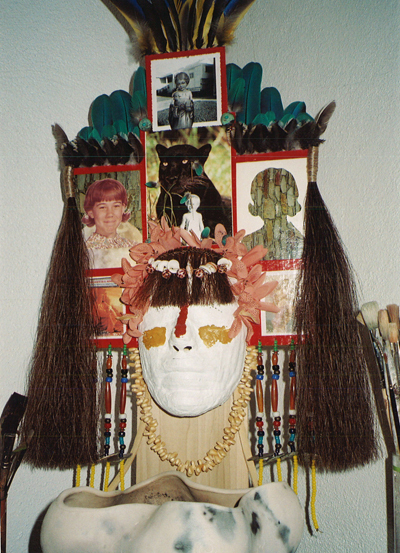 Here the mask is used to process and transmute emotions. The mask shown here is called: The Mask of Loneliness. This mask was used in a process of coming to terms with a lifetime of isolation and honoring how this attitude evolved and created unexpected opportunities; the mask of loneliness with the blessing of divine grace blooms into a rich and varied spiritual life. Once complete the mask is offered up in sacred ceremony, releasing the energy for transmutation.